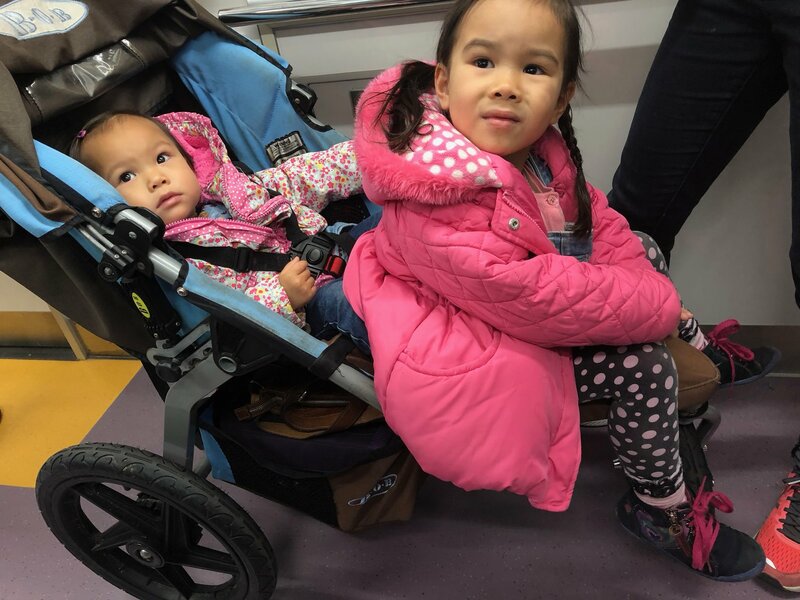 We brought along a beat-up old Bob jogging stroller which my sister bought second-hand for us in the US a few years ago. This thing is super rugged, like an old SUV, and it can take any terrain without complaint. Because it's so rugged both of the girls can sit on it at the same time (one in the seat, the other in the foot-rest area) which is a godsend on long walks when they get tired.